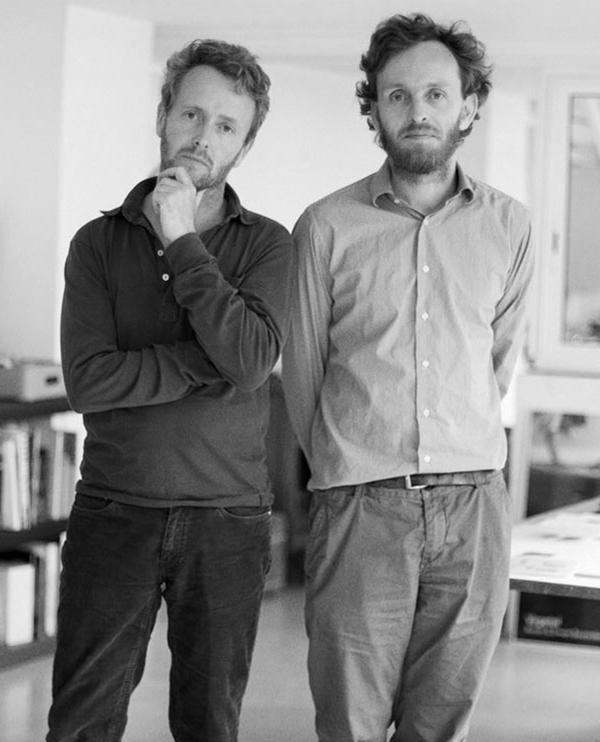 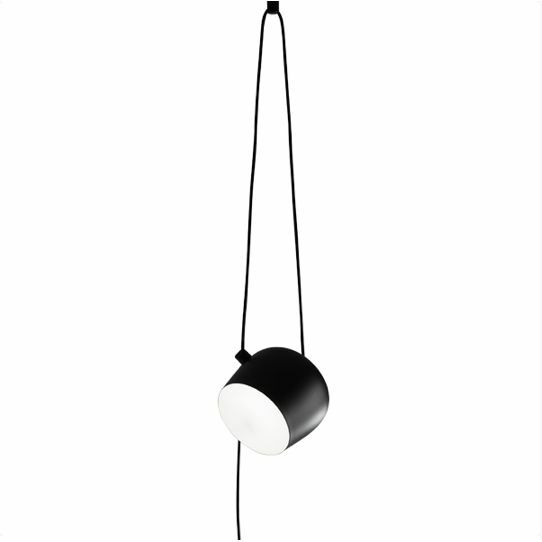 Created by the Bouroullec brothers in 2010, the AIM ceiling light is a design stripped to its most basic—and beautiful—essence. 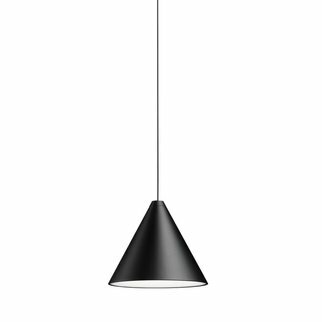 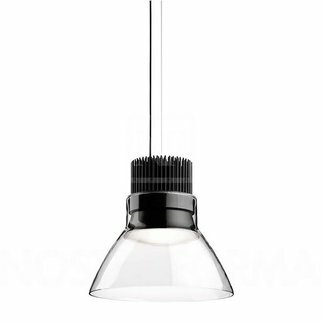 This innovative form of modern pendant lighting is constructed from a varnished aluminum sheet with a photo-etched optical PC (polycarbonate) shade. 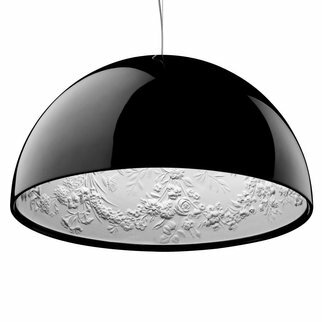 The internal reflector is photo-etched ABS. 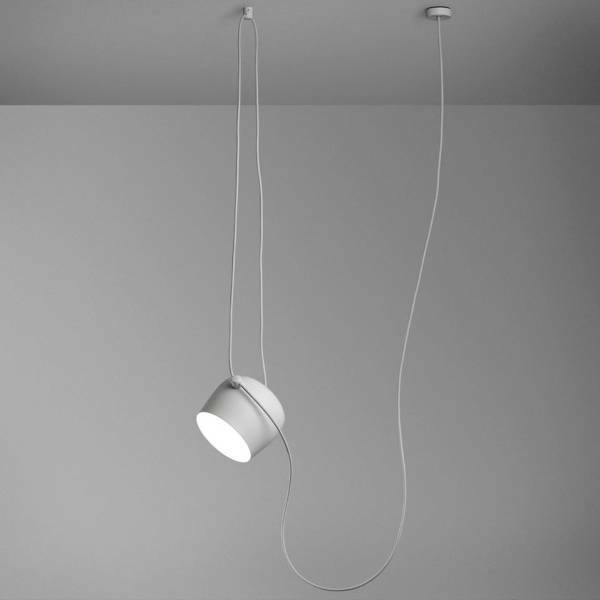 The cable can be adjusted to allow the fixture head and light distribution to be aimed in whatever way you choose. 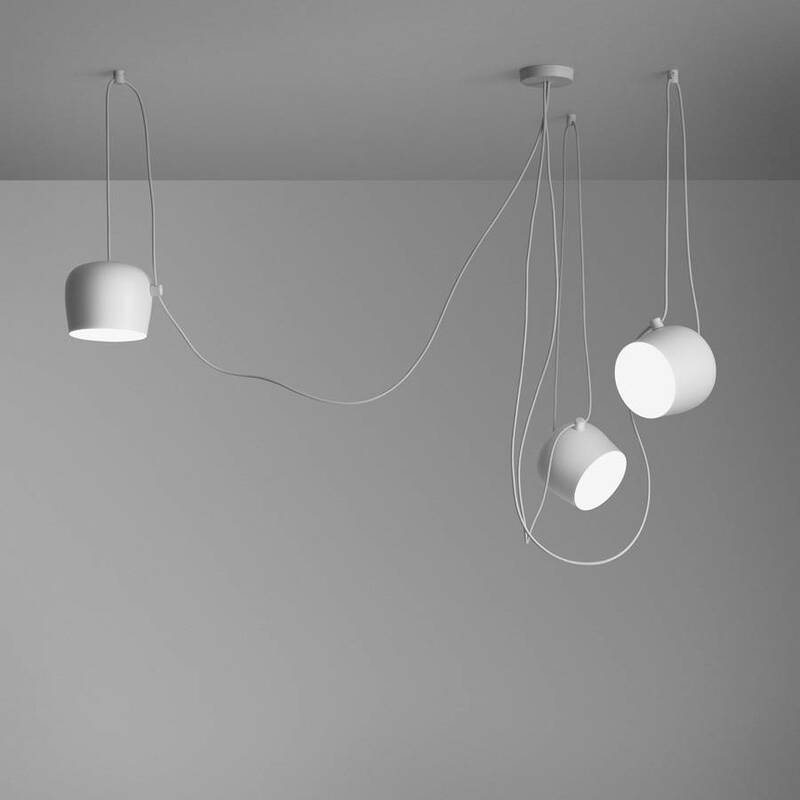 The cable has a total length of 20' and 5" (9m), allowing the lamp to be suspended at a distance up to 9' and 8" (3m) from the ceiling. 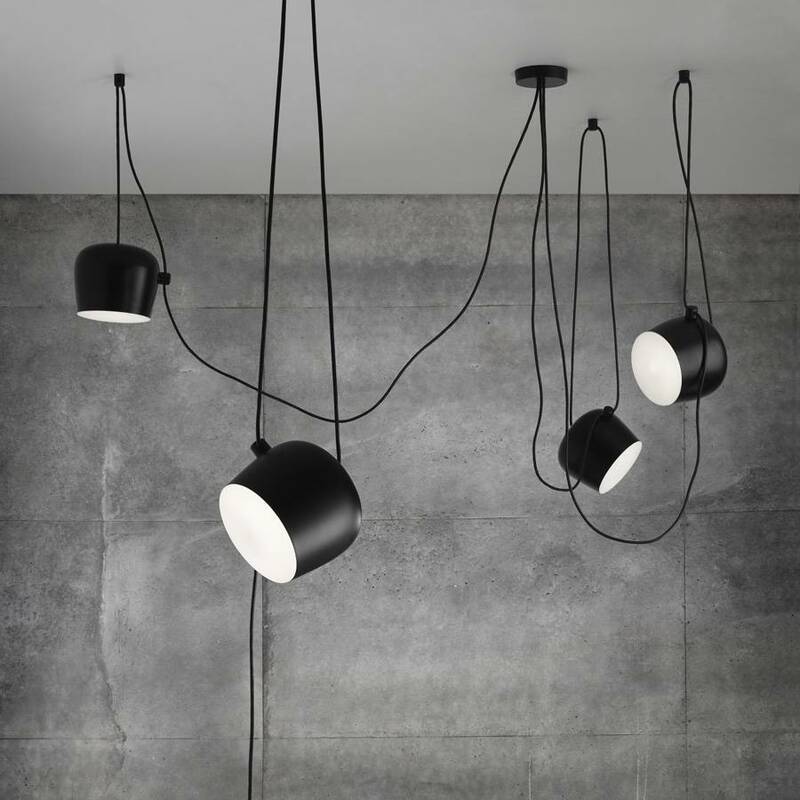 The AIM provides direct lighting and is available in two versions, hardwired or plug-in. It is available in black or white.